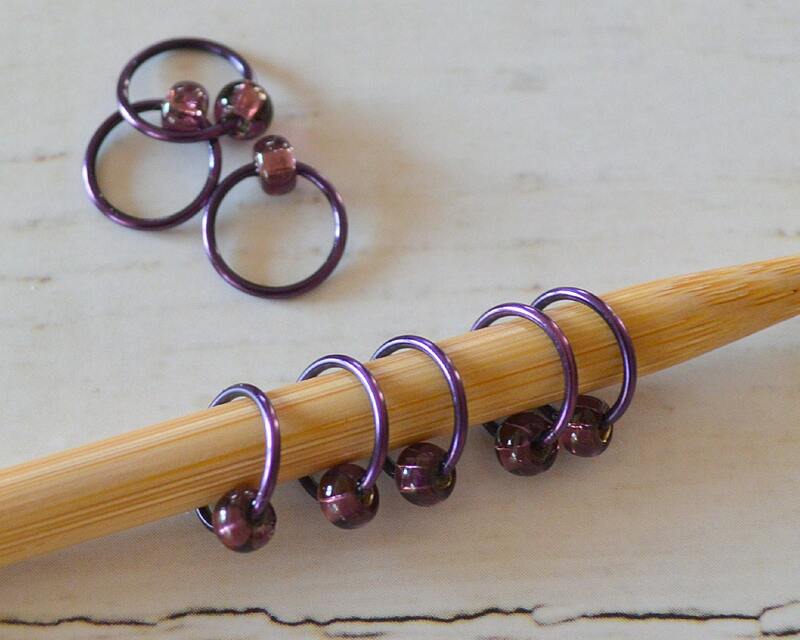 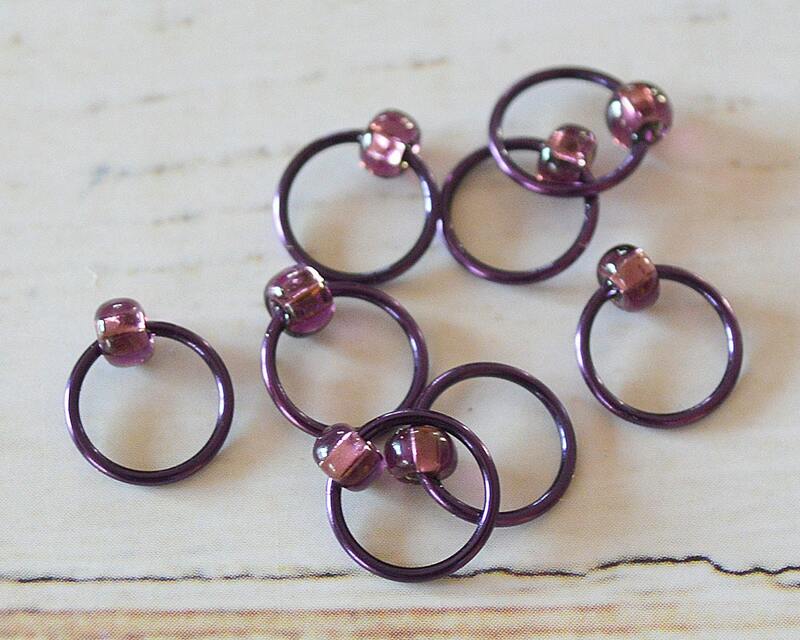 POP of Purple / a set of 8 snag free, dangle free beaded knitting stitch markers. 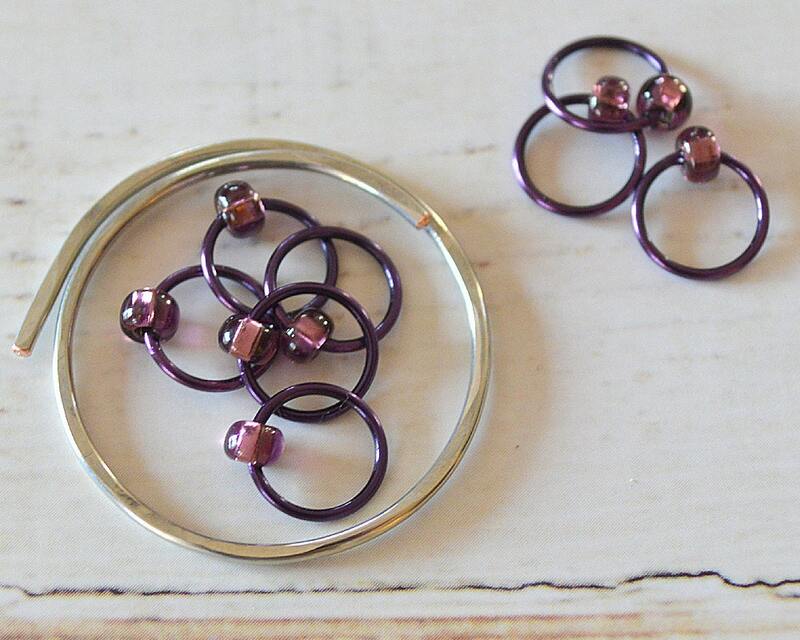 This set is handcrafted using deep purple wire and coordinating semi-transparent purple glass beads. 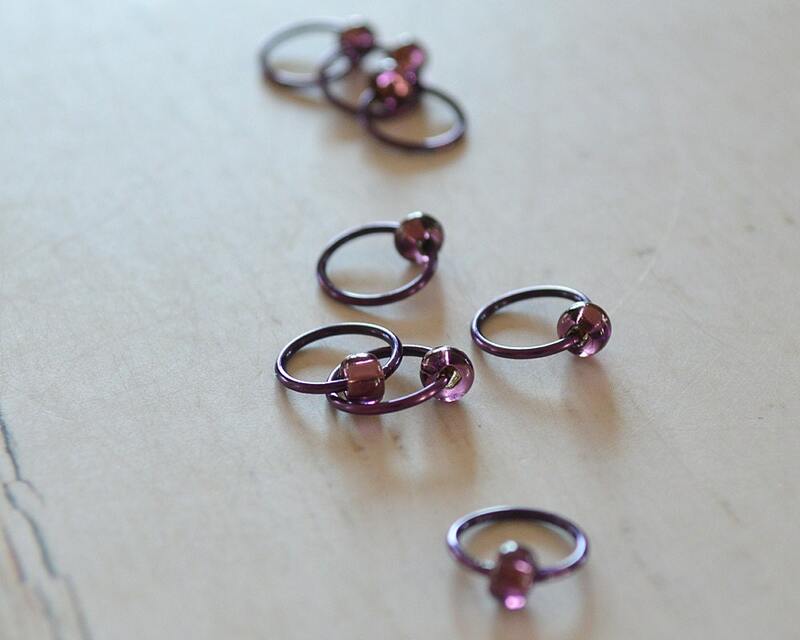 I seal the beads over the seams to ensure they are truly "snag-free". 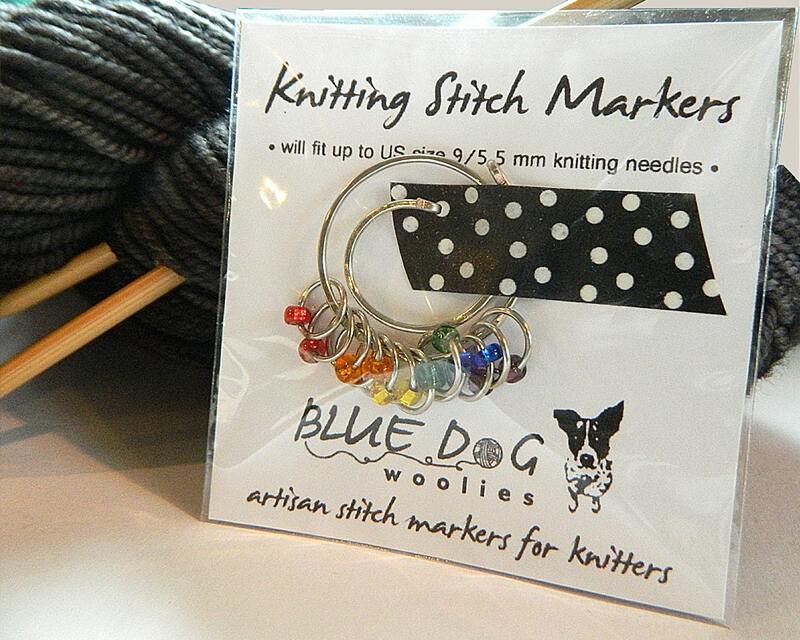 Markers are shipped with a hand-shaped, gently hammered wire holder and come packaged in a resealable, reusable cellophane envelope.